Oregon’s ESSA plan is out. Read the entire plan here. Comment on the plan here. Comment period closes January 16. 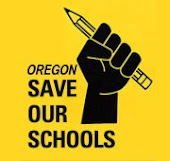 Urge your Oregon Department of Education to take back LOCAL CONTROL and END SBAC and all high stakes standardized testing!